Award-winning original fiction for learners of English. At seven levels, from Starter to Advanced, this impressive selection of carefully graded readers offers exciting reading for every student's capabilities. An English company executive in India is dismissed after he tries to uncover corruption within his company. He returns to England where his life falls apart and his marriage breaks up. He then sets out on a one-man search for the truth behind his dismissal. 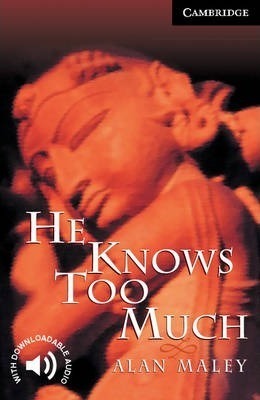 He turns to the rich mystery and beauty of India and is finally forced to choose between love and revenge.Paperback-only version. Also available with Audio CDs including complete text recordings from the book. Contains adult material which may not be suitable for younger readers. Characters; Maps; 1. Madras 1986; 2. Family life; 3. Threatening shadows: Delhi, January 1987; 4. Break-up and breakdown: November 1989; 5. Down at Hove; 6. Return to Madras; 7. Nagarajan; 8. Cambridge, February 1990; 9. Jacko of St John's; 10. A visit to Ned in Bath; 11. London: John Verghese; 12. Nandi Hills; 13. Devanahalli, May 1990; 14. Kidnap; 15. Teatime in Barnes: London, June 1990; 16. The showdown: London, June 1990; 17. In God's hands; Postcript: 1997; Glossary.